Here is another DIY stool makeover, but instead of just a fancy paint job, this stool got a fancy paint job and a stool slip cover of sorts. The combination is a beautiful stool where something boring once was. 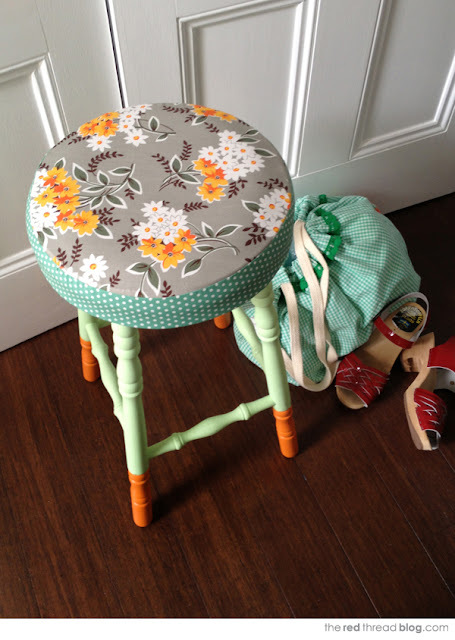 You can check out the full tutorial on this stool makeover at Craft Tuts.